Morning Motivation — Who are you? Instead of letting your family, your friends, reality TV, celebrities, fashion, trends or society tell you who you are, figure it out for yourself! Free from labels, attachments or ideas of who you think you should be, figure out who you really are—at your core essence. You are so much more than what anyone else thinks of you! You are not someone else’s idea. You are not an object. You are not a statistic. You are not a punch line to someone else’s joke. Dig deep into your heart and find out what’s in there. Don’t be afraid to discover yourself. 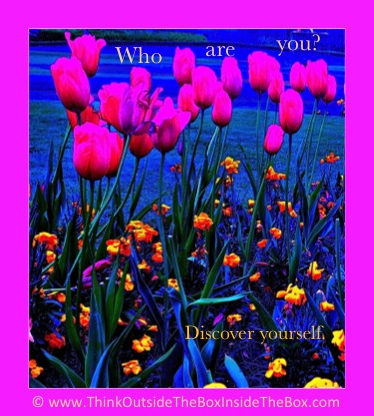 Step into all of who you are. Live your truth. Create from who you are.